The foundation of a school in Asea had been approved since 1868. During the first years it was housed in several houses until it ended to its final position. Finally there was a decision to be built on the top of the hill where Spetseropoulio park is. The area was donated in 1877 by the mayor of Valtetsi municipality Georgios Bonaros. Initially it contained only one class. In the year 1914 it was evacuated because its roof was rotten. By that time the house of Dimitrios Lupas was rent to house the school. It remained there for five years. Until 1912 it had one teacher, Nikolaos Karvelas. After it was upgraded, a second teacher was placed, Christos Fraggos. The two teachers above made an effort to have a modern school in Asea. For that reason, in collaboration with Tripolis gymnasium director Nikolaos Georgalas, they appealed to Asea community in USA. The community's clubhouse was in Youngstown, Ohio. The committee included Ioannis Bombolis, Charalambos, Economou and Christos Economou. There was an appeal to all the people with origins from Asea to help. A very high, by the standards of that time amount of 11,000$ was concentrated. That amount was sent to the school building committee consisting of the priest Dimitrios Papageorgiou, Georgios Economou, Aristidis Dimopoulos and Ioannis Karvelas. The committee without demolishing the existing walls, expanded it, in order to have the current "Γ" shape. The school had three classes and a permanent stage for school ceremonies. In 1920 the school was upgraded again and a third teacher, Vassiliki Lazaropoulou, was placed there. In 1924 she was replaced by the teacher Ekaterini Papadopoulou. In 1933, because the number of pupils bacame lower, it was degraded and the teacher Christos Fraggos was moved to the village Tsitalia Kynourias. In 1937 Nikolaos Karvelas retired and was replaced by the teacher Panagiotis Georgalas who kept serving for 30 years in the school of Asea. During German occupation in 1941, because of the lack of food two more teachers were placed there Stavros Lupas and Nikolaos Kostogiannis who served there until 1945. During German occupation the itinerary of the children from the surrounding villages to Tripolis became very dangerous. That's why some eminent citizens of Asea like Nikolaos Karvelas and Ilias Georgalas persuaded the authorities for the foundation of a high school in Asea. So the school served also as a high school and children from all surrounding 15 villages were gathered there. The school operated as a fully mixed high school with seven classes. For the first and second year about 150 pupils were matriculated. In the morning the school served as high school and in the afternoon as primary school. The professors who taught in the High school of Asea were: Lambropoulos Nikolaos Headmaster, Dimitrakopoulos Georgios literature, Kossivas Petros divinity, Kikis Aristeidis literature, Karvelas Georgios literature,Koutsikellas Konstantinos maths, Papadopoulos Giannis physics, Roussos Giannis maths. In the summer of 1943 the highschool closed forever. Near the end of the war the school was damaged a lot. In order to repair it Dimitris Spetseropoulos and Papailiou foundation committee helped financially. In 1948 the teacher Ekaterini Papadopoulou was placed in a school in Athens. 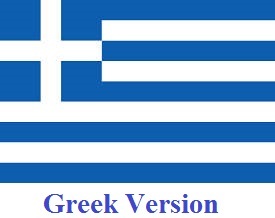 She was replaced in 1950 by the teacher Panagiota Christopoulou Gatsou. Because the school was upgraded again the teacher Eleni Charalambopoulou was also placed in it. There were many donors for the school. Among them it was Ilias Lymperopoulos who stayed in USA. He offered a nearby garden in order to be cultivated by the pupils. For the next years the school population started to decline. That's why sometimes the school was transferred in Kato Asea or was merged with schools in other villages. There was a new life in 2007 when it started again as a Kindergarten with 8 pupils from Asea and surrounding villages. 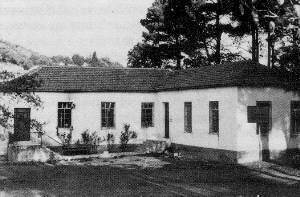 In Kato Asea the primary school was founded in 1955 and was in operation until 1962. In 1969 it opened again. It was closed in 1975 because of lack of pupils. It was housed in a private building in front of the post office with an average of 10 pupils each year.